From his makeshift shelter on an embankment Azam Ali of Bidyapara village in Takimari ‘gaon panchayat’, 182 km west of Guwahati, keeps staring at the flood waters which have submerged his home and crops for several weeks now. The 55-year-old has lost 3 ‘bighas’ (nearly 1 acre) of jute cultivation in the present deluge. He’s not alone. Nearly 7,000 residents of 12 villages in Goalpara district who are dependent on the jute crop for their livelihood have witnessed loss of around 2,000 acres of cultivable land to surging waters of the Brahmaputra. It’s an annual cycle. For 3-4 months each year, these farmers seek refuge on the embankment with their valuables, cattle and other livestock as flood waters submerge their homes and crops. “Jute cultivation takes lot of effort. In the years when the rainfall is good, we have a good output. But during ‘bad’ seasons, like the present one, floods inundate the fields completely and damage crops,” said Sar Sadullah Ahmed, president of Takimari ‘gaon panchayat’. Residents of seven other villages, which fall under the same ‘gaon panchayat’ are lucky. Their homes and fields are located on the other side of the embankment and so flood waters don’t wreak such devastation. “No such luck for us. It takes four months to harvest one jute crop. The damage caused by this year’s floods, will affect all farmers in this area and our families,” said Phulbar Ali, 60, who lost 8 ‘bighas’ of standing crop. Nearly 3,000 villagers of these 12 villages are residing on the embankment since July when the first deluge struck Assam. Besides their homes, three schools have also remained submerged affecting studies of hundreds of students. Not every villager owns a boat and many use rafts made of banana stems to go to their homes to collect necessary items and bring to the embankment. No government relief has reached these villagers yet. “We made our makeshift houses with things given during last year’s floods. 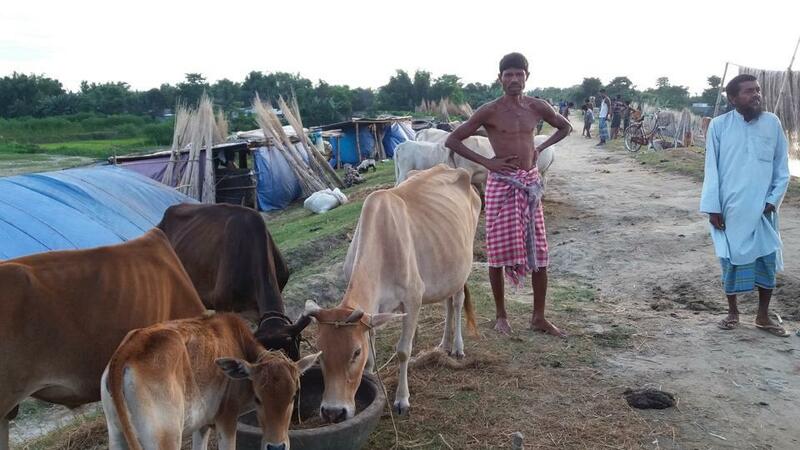 No one has come to provide food, medicines, fodder for our cattle and compensate for the crop loss,” complained Jelemon Bhawa, a 45-year-old resident. She also wants the government to provide drinking water (all tube-wells in the area are under water) and construct toilets for the affected. “I have submitted a list of requirements including few boats to the district administration. We are still waiting for response. There’s also the fear of diseases spreading, once the water level subsides,” said Sadullah. According to Jute Corporation of India, Assam is India’s third largest jute producer after West Bengal and Bihar. Nearly 80,000 farmers in the state are engaged in jute cultivation and produce around 1.3 lakh metric tons of jute fibre each year. According to the Assam state disaster management authority figures, over 3.82 lakh hectares of crop area have been affected by floods this season. 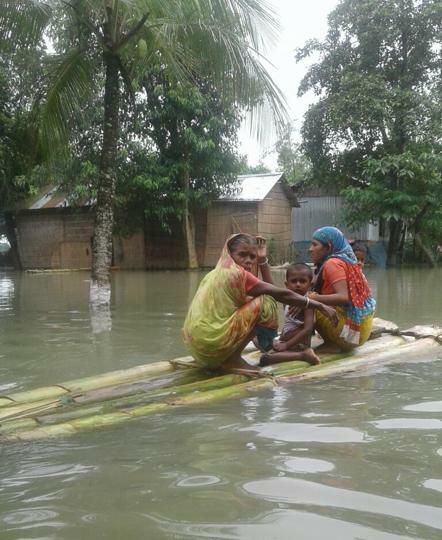 In Goalpara district, 3,755 hectares of crop area have been inundated in the second deluge. There’s no specific break-up of how much of the total affected area falls under jute cultivation or other crops.